I love hearing people stories and how they got to where they presently are, IN areas of their life! Whether it&apos;s relationships or career or living location or mentally and emotionally!!! How do you get to this place of calm that you&apos;re at today? How did you get to be in this line of work today? How did you end up in this location at this moment? How did you meet so-and-so and end up here? How did you lose your weight, decide on that haircut , choose that person as a friend , marry that person? How did you become so outspoken? How did you become so doubting & defeated in yourself? How did you leave the relationship or what makes you shop at this grocery store or how did you get to be successful!? HOW DID you get HERE, like right now? I was talking to a bunch of people at their place of work, and each one of them told me what they went to college for, or where they lived before this, or how they got to this current job... at it was so interesting all the different stories!!! Like stuff you can&apos;t plan or make up!! Amazing stuff. * everything in life is not a linear line and we continue to want to make it that way. Allow space for bends in the road. *all kinds of feelings, circumstances, experiences *in the little moments*, everyday choices and decisions, ALL of those lead up to here & now. It&apos;s crooked, up & down, and not one straight line or 5 step plan. * When you connect to others and share your experiences, it&apos;s super inspirational. Creativity sparks in you. Life expands & doesn&apos;t constrict. Life is too short! There are all kinds of experiences in life that lead you to where you are today and that&apos;s a good thing!! Don&apos;t shove it into one way only. Embrace the bends in the road , the mountains that you climb, and the ponds you might fall in because you will still end up exactly where you&apos;re meant to be for your destiny and divine purpose!! Fall in love! If you are working a lot- do something you look forward to going to & be around, bc why slave your days away being miserable. Life isn&apos;t guaranteed! Be more adventurous and take chances, get clear on what uplifts you and lights up your life, get outside more, and smile more. Let it go let it go let it go: when people are uncool & fiesty towards you, less drama & vampire sucking energy in your life. Believe believe believe every day is a gift and a blessing! Choose the mindset you want day to reflect! Choose to rock your day! Life too short for anything else! "You Don&apos;t have to, you choose to." No one owes you anything, they choose to love you or support you. You Still get to choose to be comfortable being you. We are all supernaturally blessed & gifted. FACT! No one can replace you or be you. You are sent here on earth to be YOU. Other people&apos;s opinions, don&apos;t reflect truth of you. It reflects them. CHOOSE to Be unapologetically you. Story: Sometimes I walk into an event, a meeting, a playgroup or whatever and sometimes people are talking and don&apos;t acknowledge or say hi or hey. I just dig welcoming vibes & sometimes there are none in situations. I naturally just say HI! MORNING! Etc. And sometimes the little sly comments like "oh Sasha must be here we can hear her " & they smile. * I don&apos;t let that change who I am or make me pull back a little bit or make me go oh I should change ME so I fit in to " this group". I instead claim: yeah I&apos;m friendly I&apos;m outgoing I&apos;m vocal and I&apos;m looking you in your eyes and saying hello & giving love! And I&apos;m ok being awesomely me! I don&apos;t know any other way to be besides just FULLY me! It&apos;s real. * The gift is when you show up as yourself, you are empowering others to show up as themselves & you&apos;re teaching your kids to show up as themselves too. It Creates that space. All of you can think of an example of this because it happens in ALL of life. *When God/higher power/the Divine sends you Into your purpose or assignment- You are equipped. You&apos;re in alignment with your truth and your purpose and your story and KNOW who you are! CHOOSE to Own that power. *It doesn&apos;t matter what other people say. They can move on to another person or place or thing they jive with. Go where u are celebrated!! Not tolerated! *Don&apos;t waste time convincing peeps to like/understand/accept you. Be responsible for the energy YOU bring into a space & let it bless & roll & flow into world & others. You have a peace because of it. *Your SPIRIT was created first, then your body in the womb like your hair, DNA, etc. We are Made inside to outside! Your "stuff" wasn&apos;t a mistake. All things are a blessing or a lesson. To grow & deepen your soul & depends your connect to your Higher Power. So, then a lesson becomes a blessing! Thank God for who I am & how I was created. I thank God I&apos;m funny, reserved, vocal, passionate, private, serene, wild, whatever YOU are. (fill in blank). I thank God for my values & beliefs! My life is blessed because of me being me. My life is aligned & anointed & freaking supernaturally blessed being ME is my purpose. Thank you, I am me because it enables me to do what I do in all areas of my life!!! I am beautifully & wonderfully made. 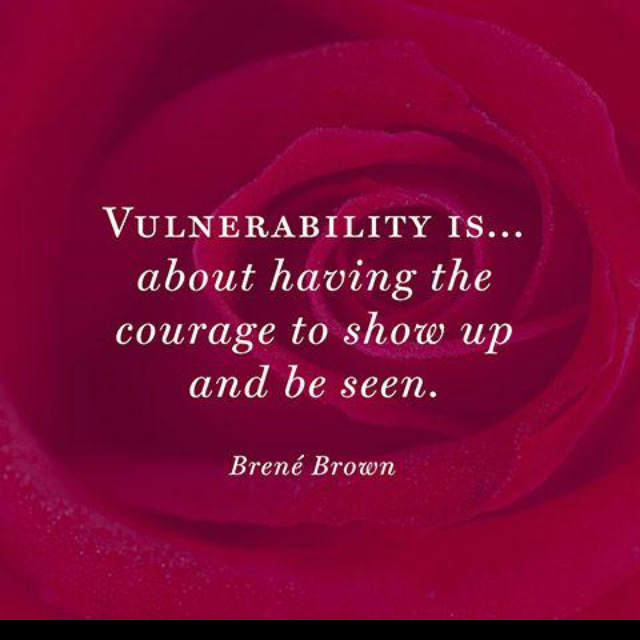 I show up from a loving place-apologetically and confidently ME! Things in life may press you and test you : to change who you are & to fit in & to start to let teeny little parts of you die and quiet down so you can make OTHERS comfortable. Instead SHOW UP knowing your are a Beautiful creation with a beautiful spirit and that is the truth and root of of who you are! You doing that, creates the space for others to do it as well! Pay it forward! Just to be spit out. Less of a load & tightness & frustration. Next step magically appears because of it. You don&apos;t need permission to be in your flow. Don&apos;t seek it. Just BE IT. You are beautiful because you exist. Life is too short to live it constricted or frustrated. Unblock where you feel stuck & live in your FLOW!! !